Now that I’m officially hooked on Pure Barre classes (seriously — “hooked” is the only word I know to use), I’m beginning to become equally obsessed with Pure Barre-appropriate clothing. I find myself wanting to spend as much time as possible in the super-comfy yoga pants and shirts/tanks I wear to class, and so I’m tempted to add more pieces of said comfy attire to my wardrobe. Honestly, if you run into me at just about any point during the day on a weekend, chances are I’ll be wearing my Pure Barre clothes. So I need some variety, right? 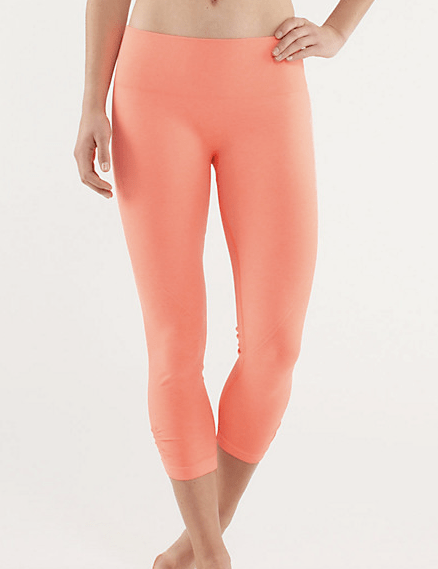 What must-have workout wardrobe items am I missing? Please send favorite picks my way so I can add them to my wish list!